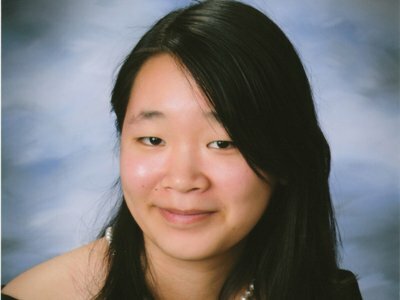 In 2012, then high school senior, Angela Zhang, won $100,000 in a national Siemens science competition for her research project, which could hold the key to curing cancer. Angela, currently a Harvard University undergraduate, was the only female individual finalist in the competition. Her interest in her research topic was motivated by her great grandfather’s survival of liver cancer and her grandmother’s death, caused by lung cancer, while she was still in the seventh grade. In her freshman of high school, Angela had started reading doctorate level paper on bio-engineering. In her sophomore year she was applied and was accepted to work in a lab at Stanford University under professor Zhen Cheng. Angela recalls: “At first it was a little bit overwhelming, but I found that it almost became like a puzzle, being able to decode something.” She was already doing independent research in her junior year of high-school. Angela conducted her research only in her spare time, which required great time management, setting clear deadlines and objectives throughout the project, as well as some sacrifices, such as cutting out TV time and spending less time with her friends. The young woman’s idea is still years away from being used to treat human patients, however. Zhang says it could take 25 years of clinical trials before her invention could be provided to people. The Siemens award is not the only prize that the young researcher boasts with. She had previously won other science fair awards, including the Intel International Science and Engineering Fair 2010 Grand Award and the ISEF 2011 Grand Award.